And this last trip in February 2015, was my 6th Vacation Back to the Big Island (Hawaii), as well as the other Islands I’ve Visited: Kauai, Oahu, and Maui. And every time I go with a bunch of my Friends, we always collect Sea Glass! True Sea Glass that’s actually tumbled from the Ocean (and not the Fake Manufactured kind that you can Buy in Craft Stores). Real Glass from Hawaii is SO COOL! 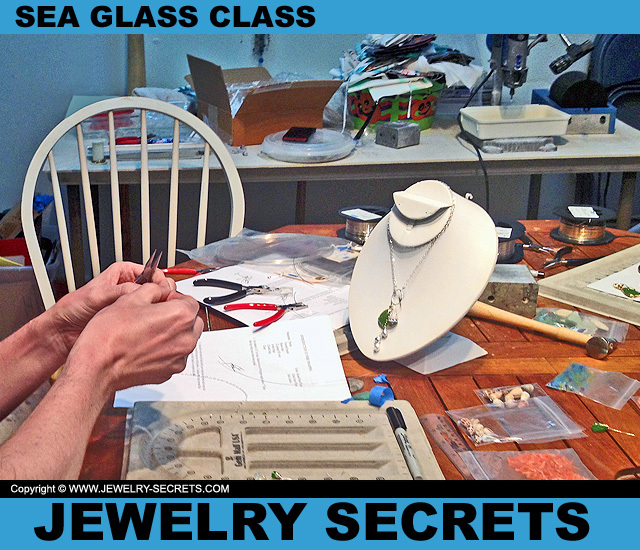 Take a Sea Glass Class and Make my own Jewelry! 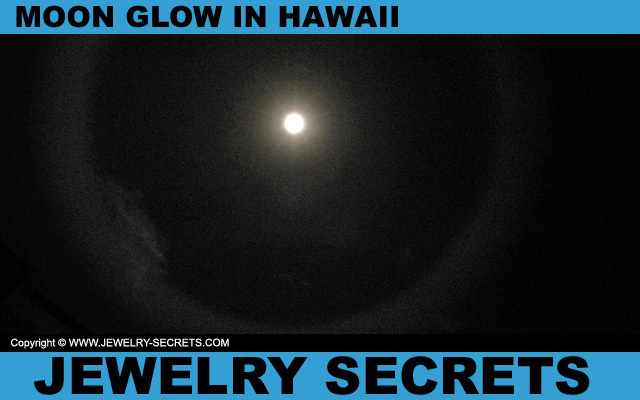 Until I see a link in a Forum that actually talked about a Jewelry Class on the Big Island. So I check it out. It’s a company called “Da Bead Shop” in Kona (where I happened to be staying). I gave them a call. They were extremely friendly and I asked them if they actually did “Sea Glass Classes” (for I didn’t see it listed on their website). They said no… but they might know of someone who could be able to teach us. Boy was I interested… She said that she’d contact him and get back with me soon. And within a couple of weeks she called back and said that there is a Jeweler (SID) that does Wire Wrapping and would be willing to put together a Sea Glass Class for us. She gave me his Name and Number and I called him. I explained to him what I was thinking about “Wrapping Wire around some of the Sea Glass that we found and hanging it on a Pendant or Bracelet“. He said he could do that! I told him I had 6 people in our group (which is the Max size for a Class), and we talked about Dates, Times, Prices, and he said that he’d send me some Example Photos so we’d know what to expect. So the next week, he sends me an email and some photos of some creations he made with Sea Glass and Wire. I was STUNNED! They were better than I even envisioned. I LOVED IT! 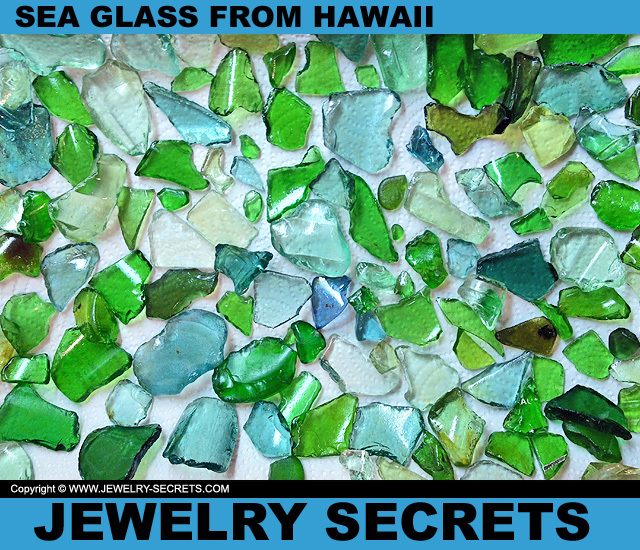 So I Paid for the Class in advance, and on February 26th, 2015, at 1:00 pm, our Group went to “Da Bead Shop” in Kona, met Sid Nakamoto, and sat down in our (and their) very FIRST Sea Glass Class! The Room held a Large Table, surrounded by Seats, and each Station had a Mat, Pliers, Wire, Beads, Shells, and other Examples. And let me tell you, SID WAS WONDERFUL and CHARMING! He gave us a short Intro, then began Step by Step showing us how to Start and how to Wrap the Wire around the Glass (He’s been doing it for over 15 years). I thought it would be more Difficult than it was, but he went Slow, and Careful, and gave us Great Tips, Tricks, and Hints on what to do so it looked Beautiful and Professional. The Class took a Couple of Hours and we each made Pendants that TOTALLY ROCKED! We finished them off with a Loop or a Bail, put them on a Silver Chain or Black Cord and it was all very Fun and very COOL! He took the time to Help us all, gave us Instructions and Directions, and we had a BLAST! 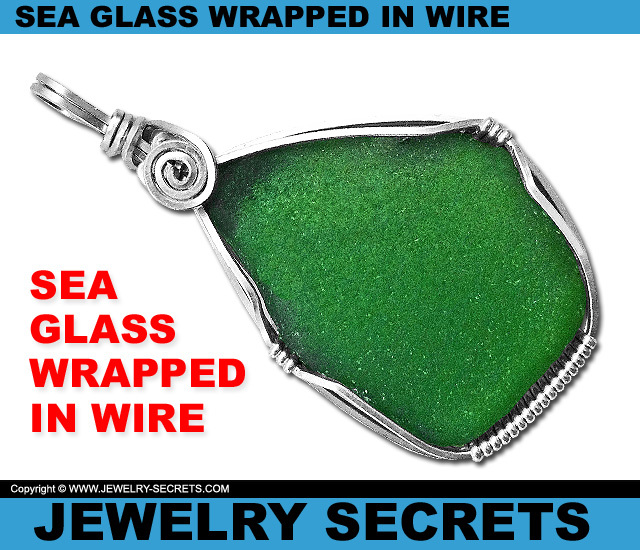 Using 20 Gauge Square Silver Wire around Sea Glass… IT’S INCREDIBLE! See how Good that looks? I really was floored that it turned out so well. 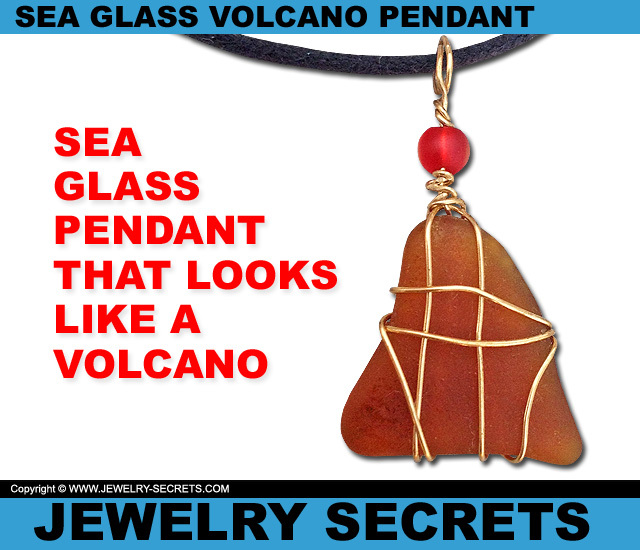 This Sea Glass Pendant looks just like a Volcano… Talk about COOL! 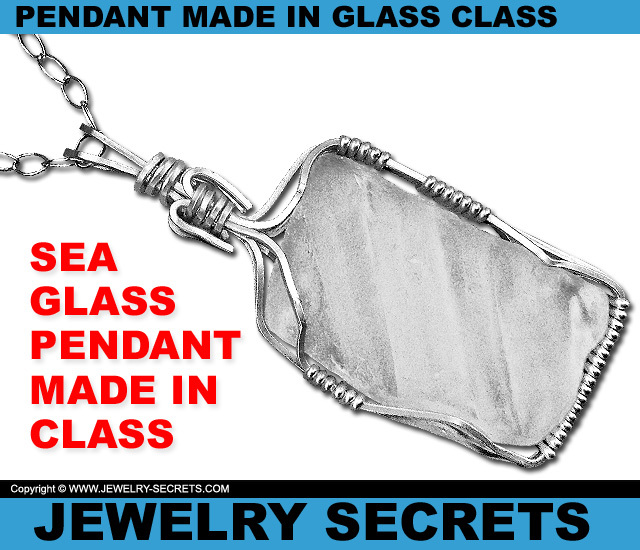 We made some very Unique items, and we participated in something that very few people ever have… A Hawaiian Sea Glass Class! So if you’re interested in setting up a Sea Glass Class with SID for yourself, by all means, call Da Bead Shop at (808) 331-2161, their address is: 75-5626 Kuakini Hwy. Kailua-Kona, HI 96740. Their official Website is here: Da Bead Shop… Here is a list of their Upcoming Classes: Da Bead Shop Classes. And this Yelp Review gives you some more info about the Store and Classes: Da Bead Shop on Yelp! The Store, and SID, can do other things as well, like Beads, Gemstones, Pearl Stringing, Rocks… (They have an Entire Jewelry Supply Store at your Disposal) But no matter what you use, it really is very COOL to MAKE your OWN! Sid’s a Really Great Guy, he really made this whole experience a Joy and Success. I truly appreciate all that he did and I WISH the BEST for him. 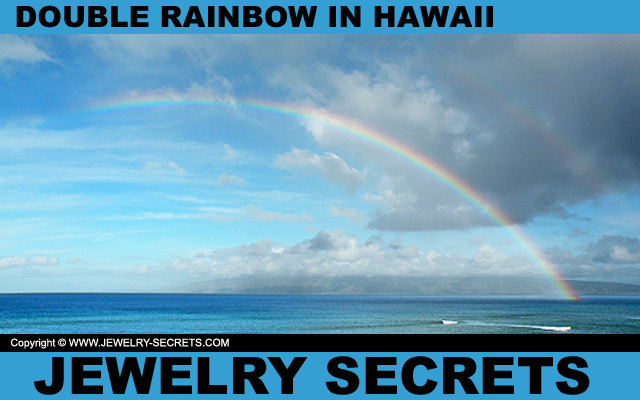 Born and raised in Kona, Hawaii, Sid’s wire jewelry making talent was not discovered until later in his adult life after meeting his wife Gail. She signed up for a jewelry making class, got sick, and sent him in her place. Soon after, he asked her if he could string up a necklace using her beads. Hours later, he completed designing his first ever necklace and sold it the very next day to a local hotel owner’s wife. This evolved into his passion of working with wire and creating wire jewelry. “I love the simplicity of wire jewelry making. Your studio can be anywhere you go.” Today, he loves to share this passion with others. He teaches classes on the Big Island of Hawaii and other places where he travels. So thanks to Da Bead Shop and Special THANKS to Sid! Everything worked out as planned, and we have some Awesome Memories and Jewelry that we can Cherish and Wear! Hi I would love to buy some sea glass from you but can’t seem to find a link for that. Help please.